Chapter 2.4: Are UK elections conducted with integrity, with sufficient turnout? Chapter from the book: Dunleavy, P et al. 2018. 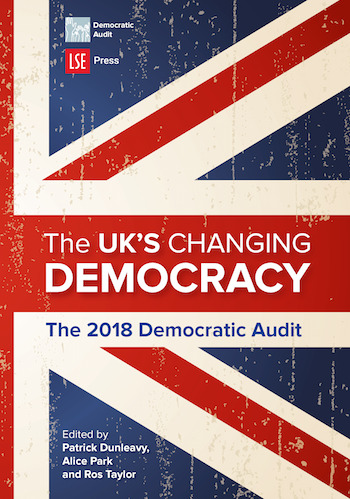 The UK's Changing Democracy: The 2018 Democratic Audit. Across the world, there are many countries where elections take place but are rigged by governments or unfairly conducted. And even in core liberal democracies (like the United States) political parties have now become deeply involved in gerrymandering constituencies and partisan efforts at ‘voter suppression’. Toby S James looks at how well elections are run in the UK, and whether the systems for registering voters and encouraging turnout are operating effectively and fairly.